Robi Mitra brings nearly 20 years of transactional and capital markets expertise to his role as Managing Director of Soaring Pine Capital Management. Robi’s responsibilities include fund oversight, fund raising, deal sourcing, execution, and portfolio management. Prior to joining Soaring Pine Capital, Robi served as Vice President with both Questor Enterprise Partners (QEP) and Questor Management (Questor). At QEP, he was responsible for deal generation, execution, financial modelling, and due diligence for an independent private equity sponsor group focused on growth capital and leveraged buyout investments in the lower middle market. Robi nurtured and grew the firm’s intermediary relationships, resulting in a 4x increase in deal generation in the first twelve months alone. At Questor, he assisted in the management of a legacy portfolio from a $1.2 billion private equity fund focused on distressed investments and was responsible for performing options and portfolio valuations on an annual basis in support of year-end reporting. 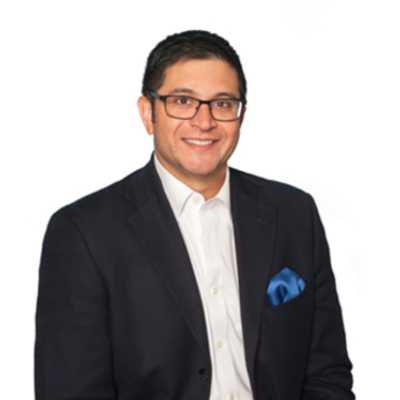 Prior to joining Questor and QEP, Robi served as Managing Director and Co-Founder of Expedition Capital Partners LLC (ECP) an independent private equity sponsor group focused exclusively on investments in lower middle-market businesses. While with ECP, he focused on investments across several key sectors including business services, distribution, environmental services, and manufacturing. Robi also developed and fostered the firm’s key intermediary relationships, resulting in superior deal flow: 250 deals sourced in the first twelve months of the firm’s existence. Robi established his financing and capital expertise as an investment banker with Livingstone Partners, a boutique middle market investment bank with offices in Chicago, London, and Madrid. Before joining Livingstone, Robi spent nearly seven years as a middle-market investment banker at W.Y. Campbell & Company in Detroit, Mich. executing global sell-side investment banking assignments for clients in the automotive, industrial, and distribution sectors. Robi began his investment banking career at Oppenheimer & Co., Inc. (formerly First of Michigan) and worked previously as a registered representative and financial advisor with Ameriprise Financial, Inc. (formerly Olde Discount Corporation) and Merrill Lynch, respectively. Robi received his M.B.A. from Wayne State University in Detroit, Mich. and earned a Bachelor of Arts degree in Economics from the University of Michigan.